Singer and actor Kim Hyun-joong has become the new face of Korean cosmetics brand THEFACESHOP, according to Kim's agency KEYEAST on Thursday. KEYEAST announced through a press release that the 24-year-old heartthrob will endorse THEFACESHOP both domestically and internationally starting September through television commercials. "Kim's refreshing yet elegant image fits well with the concept of 'natural elegance' that our brand is pushing for following its growth as a global brand", an official from THEFACESHOP was quoted as saying in their reason for signing with Kim. THEFACESHOP is currently the No. 1 Korean-made cosmetics brand which has been exported to 18 countries across the world. 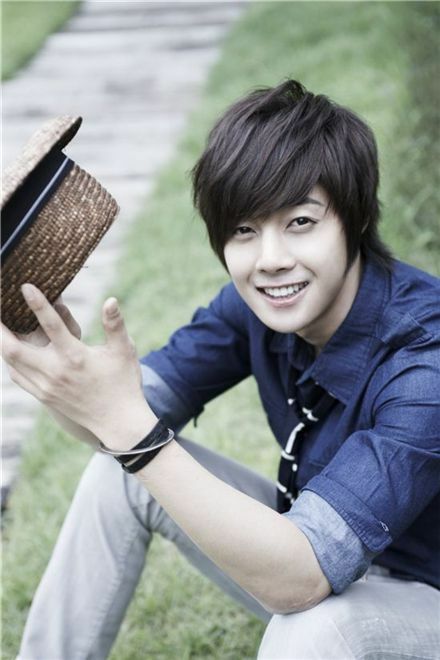 Kim, who debuted as a member of K-pop band SS501 in 2005, has been popular throughout Asia as the leader and main vocalist of his five-man group but shot to stardom in the region after starring in last year's smash hit TV series "Boys over Flowers". He recently newly signed with Hallyu star Bae Yong-joon's KEYEAST, after his group's contract with their former agency DSP Media expired in early June, and is starring in new MBC drama "Naughty Kiss", the Korean small screen adaptation of Japanese comic series "Itazura na Kiss", which premiered yesterday. BoA continues to storm televised music shows with "Hurricane Venus"